OLY ARTS is a uniquely valuable publication, combining the quality content of an arts subscription magazine with the convenience of a free weekly paper. Our print edition is hand-delivered by arts aficionados to local theater and concert patrons, OLY ARTS provides unique access to a highly-valued demographic of arts patrons. Distribution will cover Olympia, Lacey and Tumwater, with an online presence at OlyArts.com and through our Mobile website and mobile apps ( Android / iOS ). 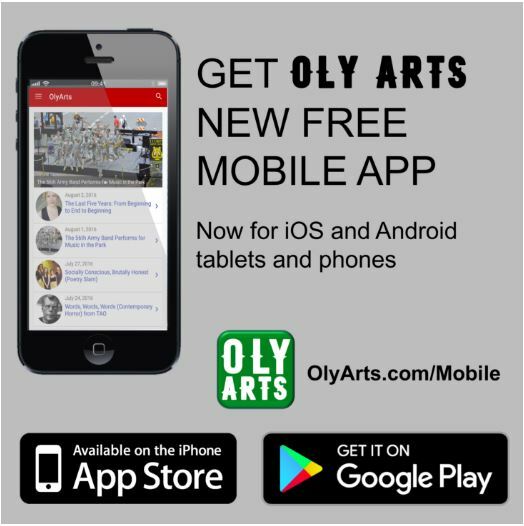 Each year, over 100,000 readers will enjoy the insight provided in the pages of OLY ARTS.